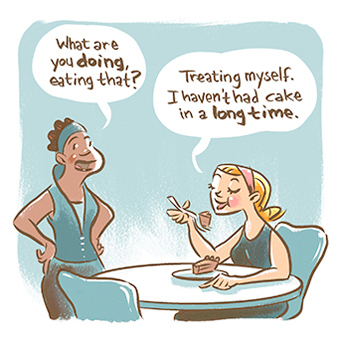 A tiny bit of art from the graphic novel! 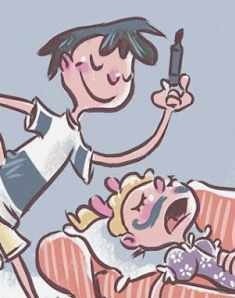 I was interviewed about Ellie the other day by Lana Jaeger of the Women Write About Comics website. She had some really nice things to say, and some really good questions too. Click the pic below to read the interview. Thanks, Lana! 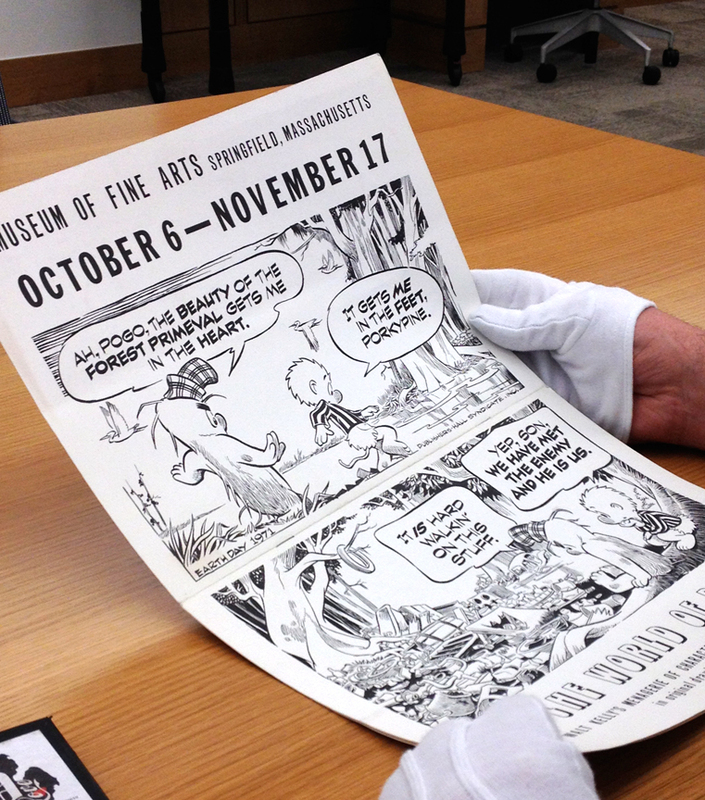 Last Friday myself, along with my good friend Paul, made a trip to the Billy Ireland Cartoon Library and Museum on the campus of OSU in Columbus, Ohio. 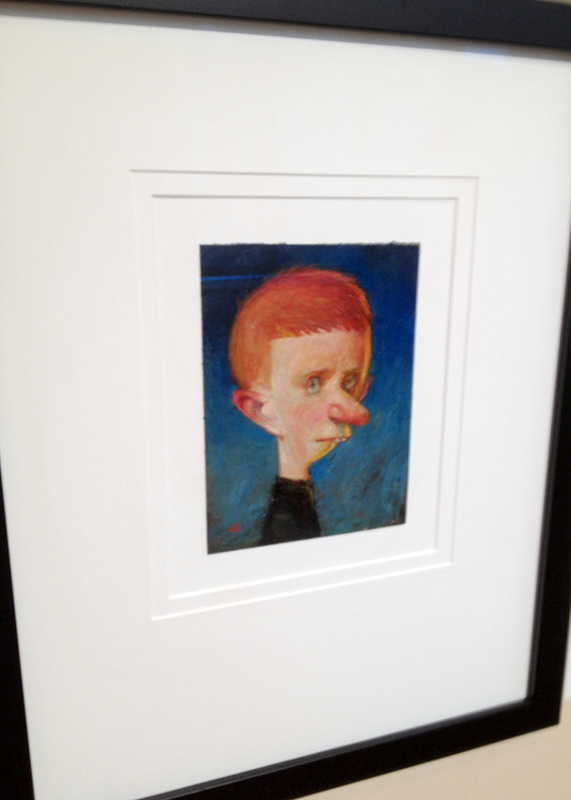 Their current exhibit features two of my favorite cartoonists: Bill Watterson, creator of Calvin and Hobbes, and Richard Thompson, creator of Cul de Sac. 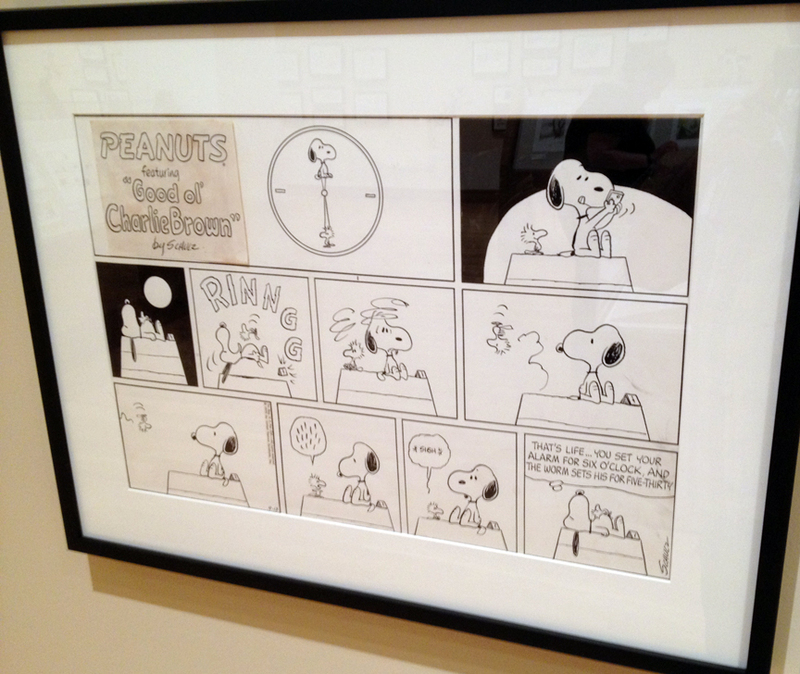 The beautiful thing about going to a museum of cartoon art is that it gives comickers like me the opportunity to get up close to the masters in our chosen craft. Not unlike visiting an art museum if you’re a painter. 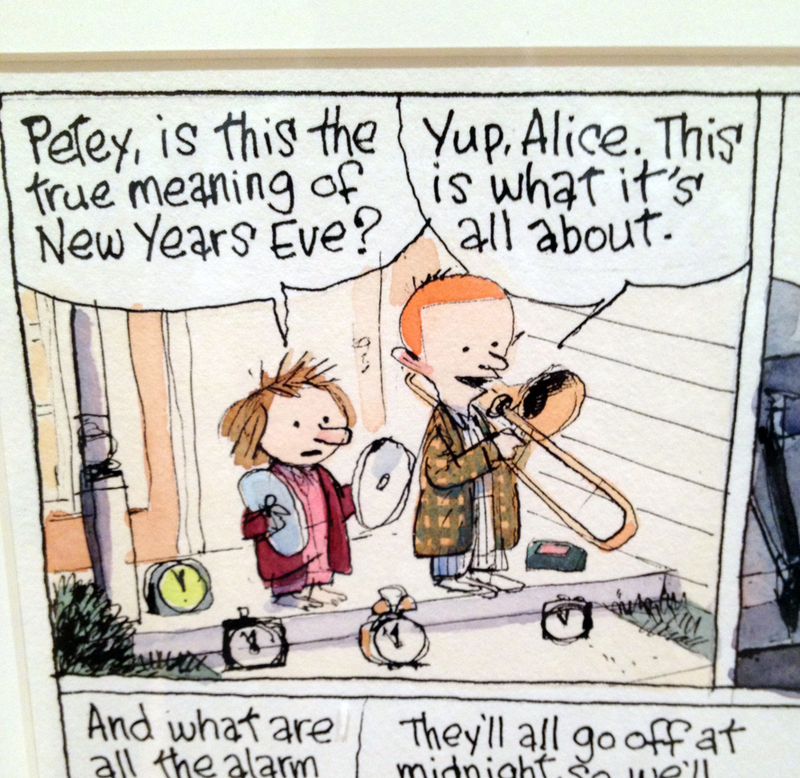 Seeing Watterson’s thick brush strokes in their original size is a real treat. 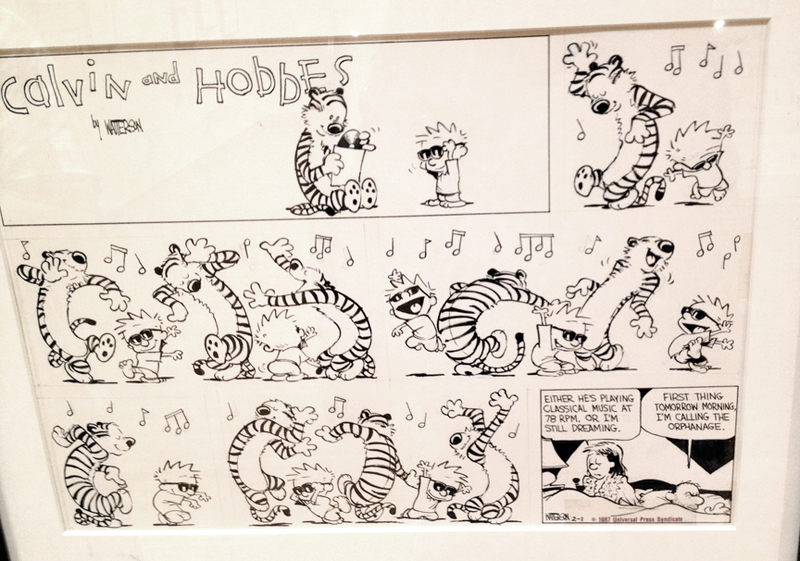 The Calvin and Hobbes half of the exhibit also includes samples of some strips that inspired Watterson: Peanuts, Bloom County, Pogo, Krazy Kat, . . . even some Flash Gordon for the Spaceman Spiff comics. 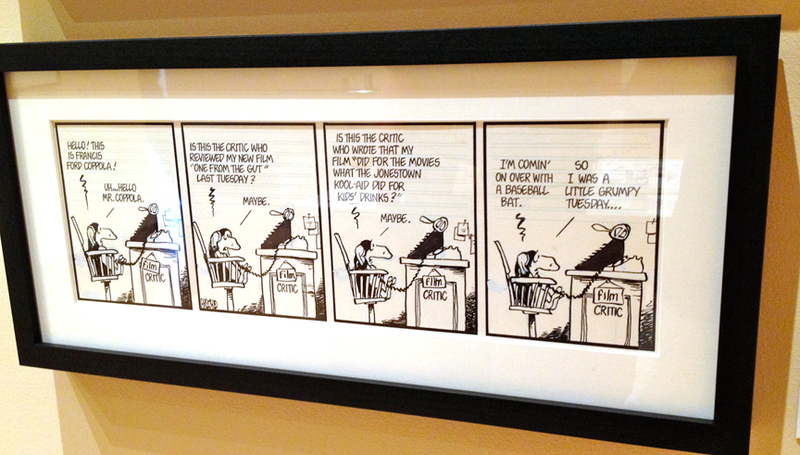 There’s also some of the strips he sent to the syndicates that eventually led up to Calvin and Hobbes, cover art for some of the books, and the tools he used to create the strip (be sure to check his description of the text line creator thingy with the holes). The Cul de Sac half is made up tons of hand colored strips, along with samples of Thompson’s comic Richard’s Poor Almanac, and several amazing caricatures, plus a painting by Bill Watterson of the Cul de Sac character Petey that was donated for a benefit auction for Parkinson’s disease (Thompson had to quit his strip shortly after being diagnosed) . So, if you have the opportunity, go see it. It’s one of the few museum experiences you’ll have with continuous snickering going on in the background. And best of all? Before you make a trip, peruse the online museum collection to see what they’ve got stored there. If you drop them an email, they will pull out anything for you to look at. 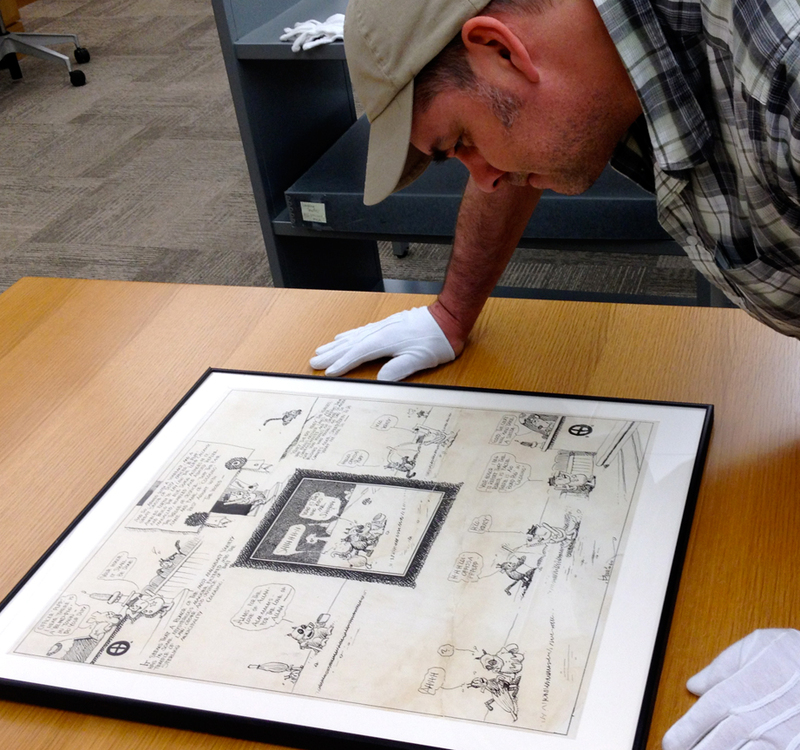 I got a close up look at a Krazy Kat strip, some Popeye, Little Nemo In Slumberland, Bone, and Pogo! The current exhibit is on until August 3, 2014. Go! Check it out! Did I mention FREE?! 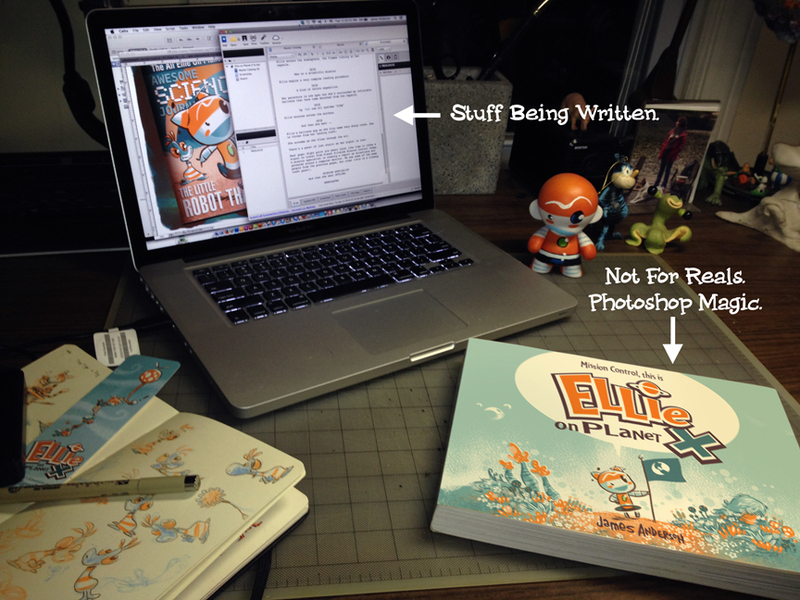 I met with Heather Antos of Geek Legacy last week for a little snack so she could interview me about Ellie on Planet X! See how she took the ramblings of a crazy person and made them into something coherent. Click the pic below to read it. 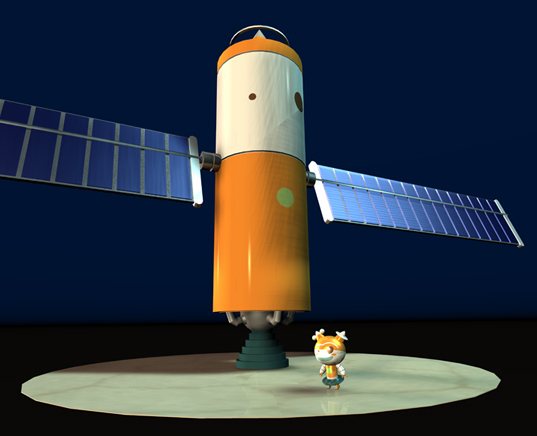 A model of Opie with Ellie to scale. While Jules Faulkner is taking a little break from her fantastic comic Promises Promises, a few of us other comickers stepped in to take her place. Click the pic below to check out my contribution! I can finally clue all of you in to what we’ve been up to here at Mission Control for the past few months! It’s really exciting news! 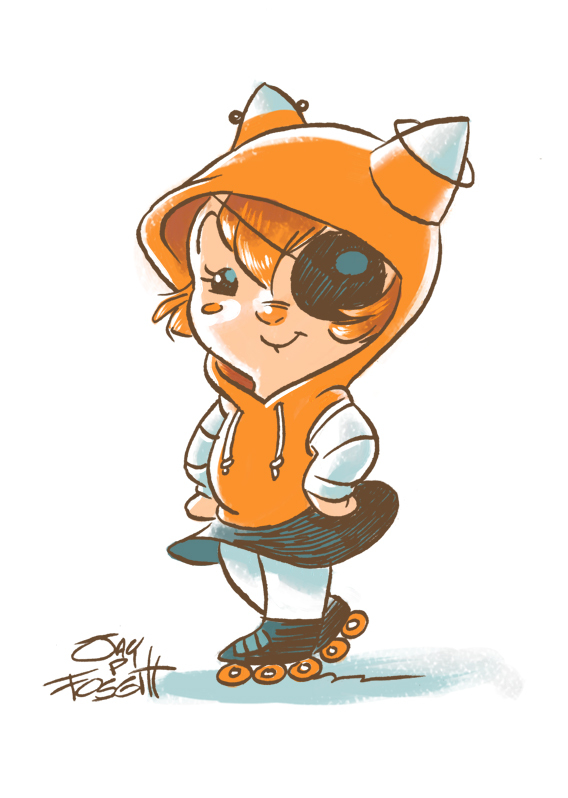 I’ve been working on an Ellie on Planet X GRAPHIC NOVEL! I’ve been in touch with top people who think Ellie would make a great story, and we’ll be presenting it to publishers when I finish getting my submission together. There’s still a lot of work to do. I’m writing a script and then have to do a large number of sample pages. This is going to keep me quite busy for some time. That’s about all I can tell you for now. I won’t be updating the comic here at the website any time soon, but I’ll post some things to the blog from time to time to keep you in the know about goings on here at Mission Control. 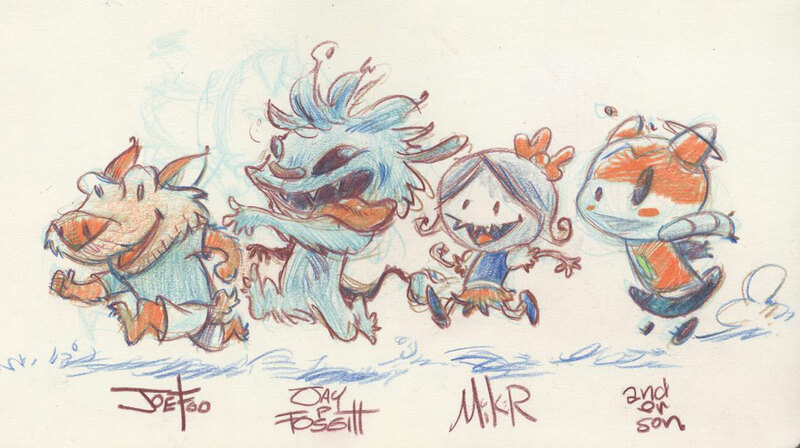 Thanks again, all of you, for following Ellie and Jeff and Muffin all these years. And prepare for more of them to come! 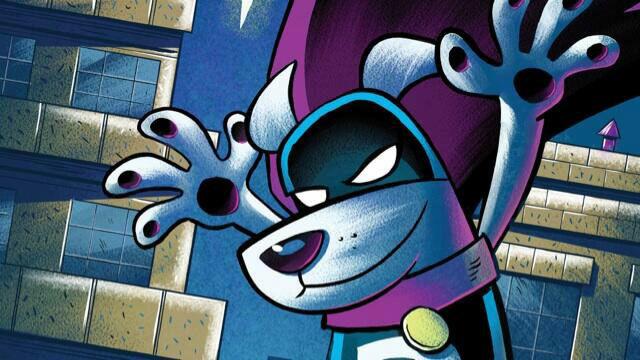 └ Tags: Awesome News, Graphic Novel, Woo!